Aqua Cutters are remote controlled robots using a crawler base to carry a hydrodemolition power head in various horizontal and vertical configurations for a solution to every hydrodemolition situation. It is a perfect platform for precision control of the hydrodemolition process, providing far better production rates than any hand held method. 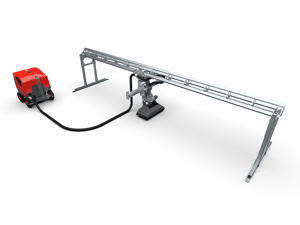 The AQUA SPINE AND FRAME are an innovative multi-modular system for all surfaces that may be inaccessible to Aqua Cutter robots. 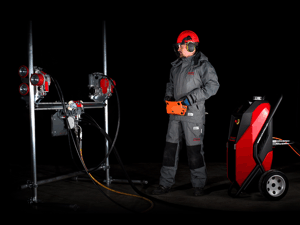 The Ergo systems is a lighter weight, easier to transport and assemble system for all types of hydrodemolition and industrial cleaning work. With it’s intelligent controller, it provides far superior efficiency compared to any hand held method. 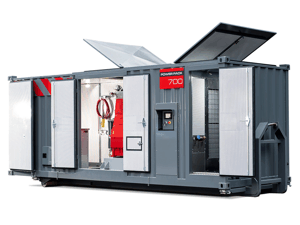 The Power Pack is a high-pressure unit, specially designed for all types of Hydrodemolition applications. 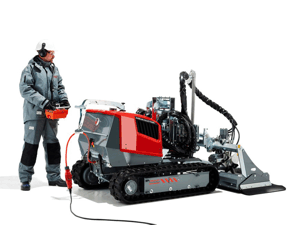 While the robot is the brain of the hydrodemolition process, the power pack is the work horse, providing the appropriate water flow and pressure for the type of hydrodemolition being done. 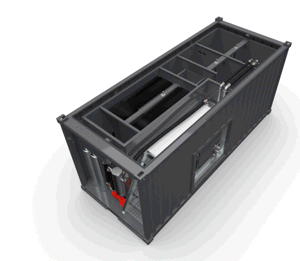 The EcoClear water treatment system is a state-of-the-art solution dedicated for filtering Hydrodemolition water on a completely new level.